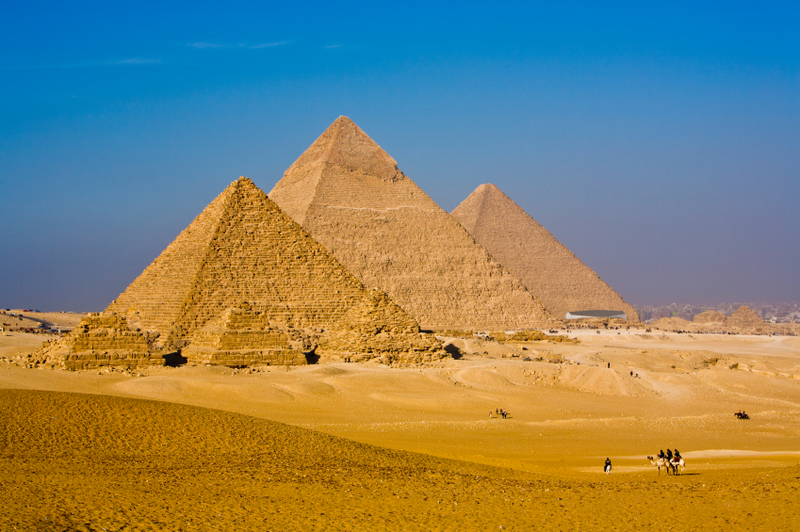 New Discovery: What do the Great Pyramids of Egypt and Customer Conversions Have in Common? | ASTRALCOM - Content Strategy, Conversion Marketing and Customer Acquisition. It’s just been discovered how the Egyptians moved the massive pyramid stones without modern technology. They placed these giant stones on a sled that they pulled over the sand. I know what you’re thinking. But hang on, because they knew something about friction that none of us knew until recently. By adding just the right amount of water in front of the sled, it created a “stiffness” whereby the water had glued together individual grains of sand. This physics trick not only stopped the sled from digging into the sand but also reduced, by half, the amount of force needed to move the heavy sled. So by simply reducing the friction in this process, the Egyptians could either use half of the workers needed to pull the sled, or they could get the massive stones to the site in half the time. Friction is one of the components of the Mathemagical Customer Conversion Process. Friction, in the customer conversion process is anything that slows down, obstructs or otherwise confuses the consumer during the customer experience process. These are typically things in the design, layout and/or functionality of your marketing pieces that prevent the consumer from taking action. While relevance, motivation and value help to create an initially attractive message, it’s only the first step of a two-part equation. Getting consumers to take action, as a result of your message is the next step. This part of the conversion process depends on how you balance friction, anxiety, urgency and distractions within your messaging and customer experience efforts. If you’re interested in converting consumers across multiple channels more effectively, then you’ll love our whitepaper, “Engineering Consensus – The Syntax of Consumerism” – See more at: this link.